I grew up in Nelson at the top of the mainland. Eventually my job took me to Forest Research in Rotorua. After many years working there my wife and I left on an OE which lasted nearly 5 years. Although we lived and worked in England, we travelled extensively throughout Europe, Great Britain and Ireland. On returning to NZ we lived at Mount Manganui but I worked in Rotorua until retiring. I am a keen follower of sport and enjoy golf and trying out my new e-bike. 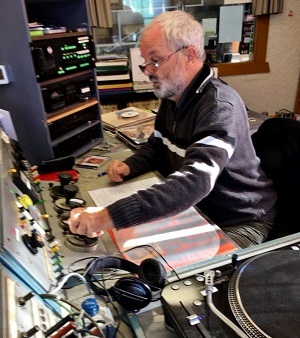 I enjoy a wide range of music and find it a great way to relax, so I look forward to bringing music to the airwaves for all to enjoy.